Zappen is pleased to announce the launch of the Beerious? mobile app, available as a free download for both iO and Android. Don’t miss out! 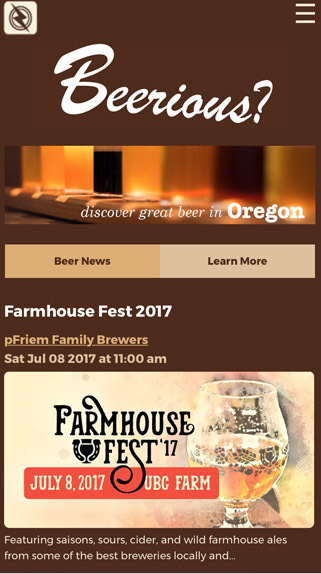 Our free app keeps you up to date on great local beer festivals, new releases, tap takeovers, and tastings. With just one tap of your phone, Beerious? lets you see every beer event that’s happening in your local area—tonight, this weekend, or this month. We focus on beer and beer events only. Beerious? launched in Portland, Oregon in July 2017 and will be available in major US cities starting this fall.